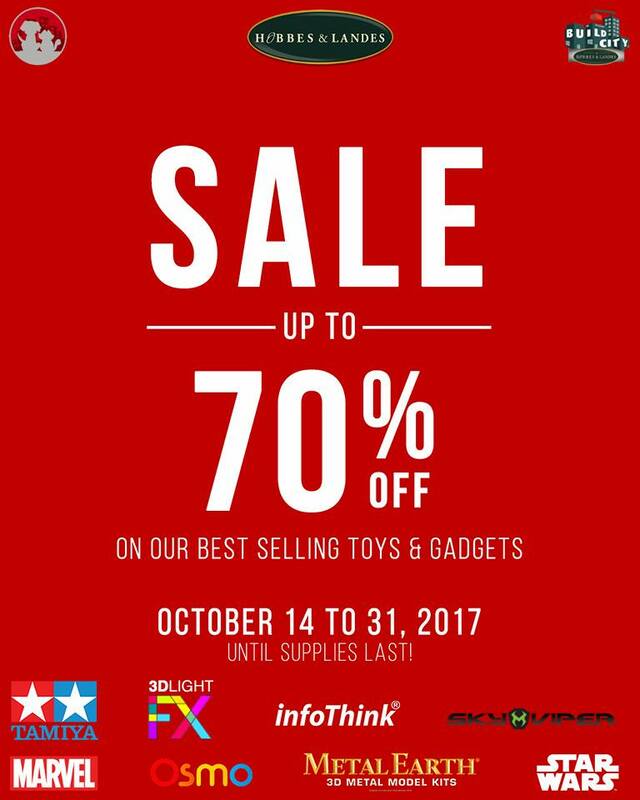 Check out Hobbes & Landes Pre-Holiday SALE happening until October 31, 2017 (or until supplies last). 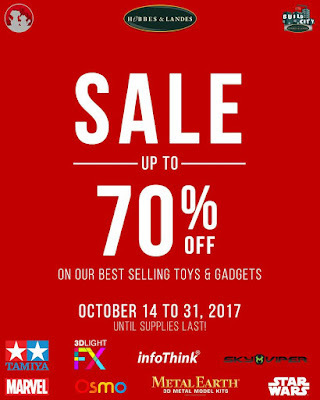 Get of up to 70% discount on selected toys and gadgets and 50% discount on selected dog and cats accessories. Available at Hobbes and Landes Bonifacio High Street, Greenbelt 5, Rockwell and Buildcity Shangri-la. Tamiya is also available at Buildcity Shangri-la and Rockwell, and Metal Earth also available at Build city shangri-la, Rockwell and TriNoma.